THE BALANCED BUDGET ACT OF 1997 DECIMATES HOME HEALTH AND THERAPY MERGER & ACQUISITION MARKET According to Irving Levin Associates, Inc.
(New Canaan, Connecticut-August 2, 1999)—The preliminary results of a new comprehensive research report on the merger and acquisition market for long-term care ancillary service companies have just been released by Irving Levin Associates, Inc., publisher of the LTC Ancillary Services Acquisition Report, First Edition. The Report covers transactions in the home health care, contract rehabilitation therapy and institutional pharmacy markets. As the demand for post-acute care services grew in the 1990s, the volume of acquisitions, as well as the pricing, increased dramatically. Providing home health care, rehabilitation therapy and medication management services all were viewed as essential to the future success of post-acute care providers, especially as acuity levels rose. “The Balanced Budget Act of 1997 (BBA), however, has practically destroyed many of these service areas,” according to Stephen M. Monroe, a partner at Irving Levin Associates, Inc. “As an example, one of the largest contract therapy companies in the country closed down after being unable to find a buyer, and another sold its $100 million-plus business for a nominal amount,” continued Mr. Monroe. 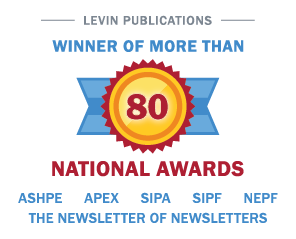 Irving Levin Associates, Inc. is a New Canaan, Connecticut-based research and publishing firm specializing in health care and seniors housing investments. The Firm has 50 years experience in the health care merger and acquisition market. The LTC Ancillary Services Acquisition Report, First Edition, has approximately 100 pages of hard-to-find information on all of the publicly announced home health care, institutional pharmacy and contract therapy mergers and acquisitions from January 1, 1998 through June 30, 1999. The Report may be purchased by calling 800-248-1668. HEALTH CARE SERVICES MERGER AND ACQUISITION VOLUME NOW LEVELING OFF According to Irving Levin Associates, Inc.